RV ownership has increased 76% since 2012 according to the RV Industry Association. Far more people are hitting the road in luxury and DIY motorhomes, fifth-wheels, and campervans, to visit national parks, national forests, private campgrounds, and everything in between. 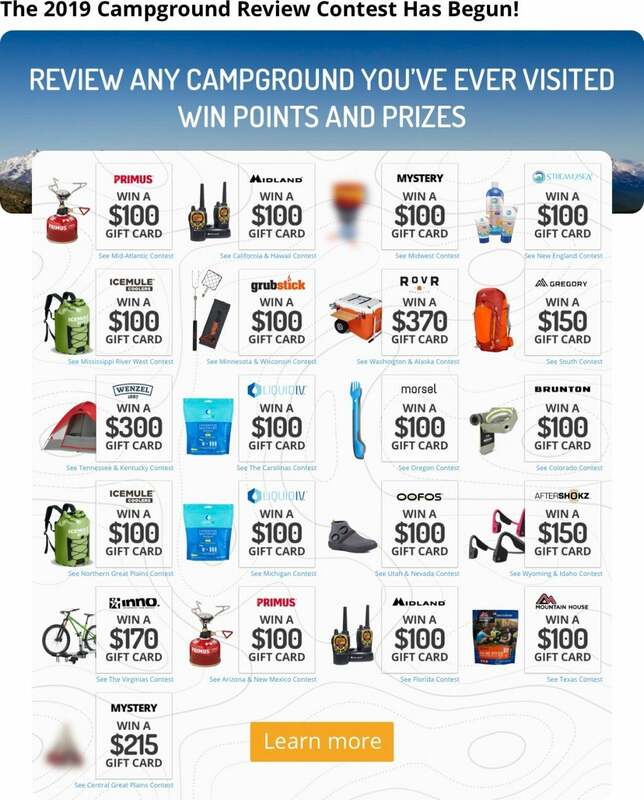 With this kind of popularity, RVers are adding more and more RV gifts to their wish lists. We’re seeing a surge in popularity because, well, RVing is pretty freaking awesome. You get to travel anywhere with paved or gravel roads, and you always have your home with you. Temperatures suddenly drop? You have your wardrobe with you. Staying on federal land, and the nearest place to get ice is 50 miles away? You’ve got a refrigerator. With increasing off-grid capabilities, you can even watch a movie in the middle of the forest. It’s next-level glamping. Or it’s just a simple way to get outside more. This kind of expansion means expanded gear options for the rig driver in your life. 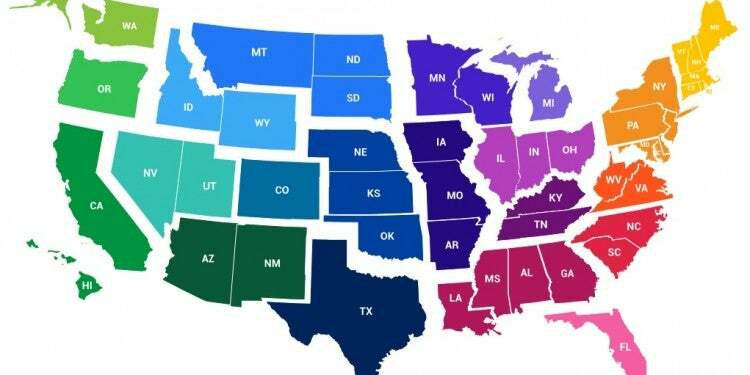 With approximately 10 million households owning RVs, chances are you know someone who owns an RV and needs something extra to make it homier/easier/more fun to live in. Maybe that person is you. These items are on our RV gift wishlist, and we think they’ll soon be on yours too. Renogy’s solar generator gives you power when you need it. The compact, lightweight solar briefcase weighs about 13 pounds, and can hold 16ah of battery–that’s 47 GoPro charges, 230 Kindle charges, or 5 laptop charges. Add a 100W solar panel for additional input and charge your devices more efficiently. Easily stow the generator away under dining room sets or in the basement when not in use. Perfect for those on the road full-time! There are so many times you need a tall ladder with your RV, but who has room to store one? The OxGord Telescopic Ladder is the perfect solution. Able to extend up to 12.5 feet, you can clean or repair your RV on the road with ease. It’s equipped with safety locks that snap into place on each step, and rated to 330 pounds so you don’t have to worry about safety, making this one of the best RV gifts of the year. If you want to enjoy high-quality audio without being tethered to your RV or reliant on your deep-cycle battery, this surprisingly powerful solar Bluetooth speaker from Renogy is just the ticket. 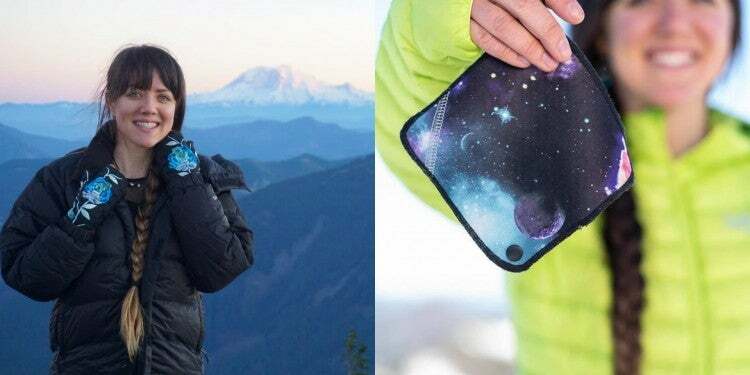 It boasts up to ten hours of audio off a single charge, a 33 foot Bluetooth range, 80HZ – 18kHZ frequency, and even has a built-in emergency flashlight. “The sound from this thing is no joke. It actually has a separate bass built in so you get really loud, high-quality sound. You can skip songs and pause/play, which is a nice feature. The speaker is very well built and durable. I have accidentally dropped it a couple times already with not even any visible wear let alone effect on the functionality.” —The Dyrt Camper Asher K.
Having a tool in your RV kitchen that multitasks is essential. This MagicBullet blender chops, dices, whips, purees and much more saving you space but also time. This particular model comes with a recipe book as well, so you can whip up new and exciting meals on the road quickly and easily. 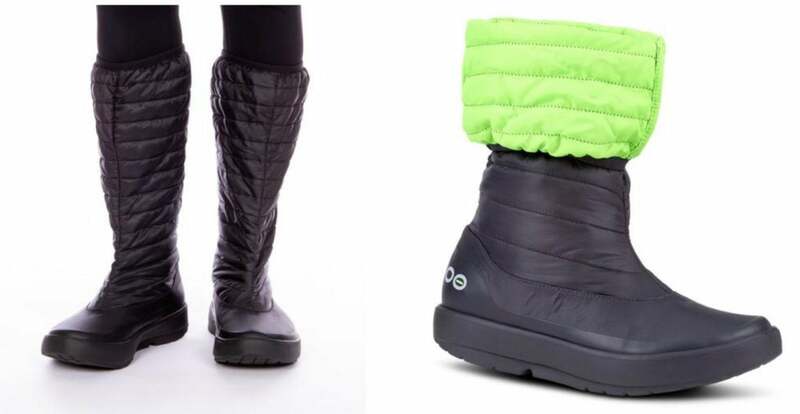 The new Women’s OOMG Boot from OOFOS is exactly what you want when winter gets blustery. This new style combines the same patented OOFOS foam sole that has made its clogs, sport slides, and thong sandals so popular with a cozy, water-resistant, well-insulated upper. One of the great things about an RV is that the entire world is your patio, but packing comfortable furniture to enjoy that outdoor space is not easy. This ALPS eclipse table is one of those perfect RV gifts for enjoying the view while playing games, holding your favorite novel or just enjoying a beverage with the one you love. 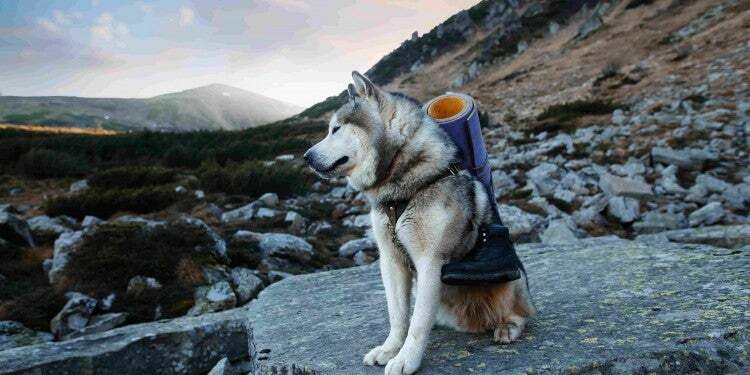 Fully collapsible and weighing only 6 pounds, it stashes quickly and easily for the journey to your next adventure. 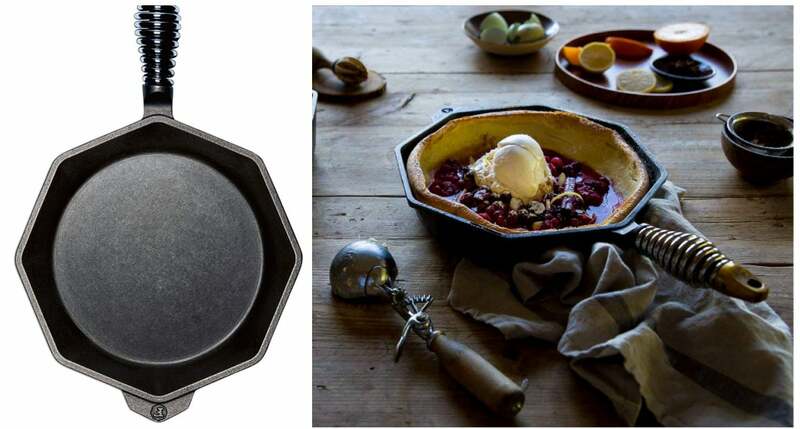 Carefully crafted in Portland, Oregon, Finex has put a lot of thought into the design of their cast iron cookware. The octagonal design makes pouring, serving, and cleaning easy, while the ergonomic spring handle is comfortable to grip. Each piece is carefully tumbled and seasoned with organic flaxseed oil, too, so you know exactly what’s coming into contact with your food from the very first time you heat your pan up over the campground grill. As far as RV gifts go, it’s hard to find items that can be used effectively inside and outside the camper. But the Stio Sweetwater Fleece has the functionality to perform on mountain missions matched with the style to take it into town. 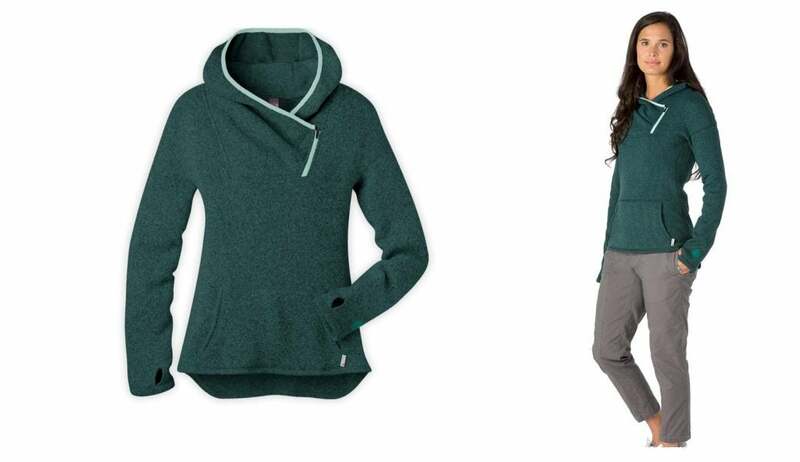 Thumb loops in the sleeves keep your hands warm when the cold bites, and a wide neckline and hood make for an extra cozy fit. Plus, the thick fleece is nearly as warm as a puffy, making it the perfect layer to toss on for chilly nights at the campground. The Padu Dopp Kit by Ethnotek combines good looks, sturdy construction, and sustainable ethos to create a toiletry bag you can be proud to tote coast to coast. This Dopp Kit’s lining is made from water-resistant recycled PET material derived entirely from recycled plastic bottles. The outside designs are sustainable, too, preserving textile traditions from around the globe. The beauty of RVing is the ability to really cover some ground…like visiting all 58 national parks. Get the RV enthusiast in your life a National Parks Pass. 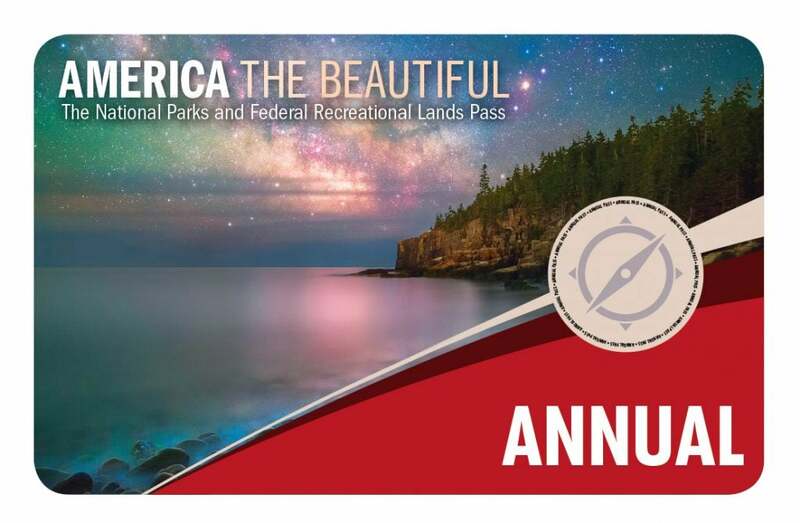 Not only does it give the holder entrance to iconic classics like Yosemite, Yellowstone, and Great Smoky Mountains, the “America The Beautiful” pass will get your recipient into 2,000 federal recreation sites. Just double check whether or not the person you’re gifting is active U.S. military—if they’re currently enrolled, he or she already gets into national parks for free! There are two nearly universal truths about the RV life—one, that it’s always wise to maximize space, and two, that inevitably, something will eventually go wrong. With the 400A Peak 12000 mAh Portable Car Jump Starter from Renogy, you can rest assured knowing you’re prepared for all sorts of mishaps from low battery life on your phone to an RV that won’t start. 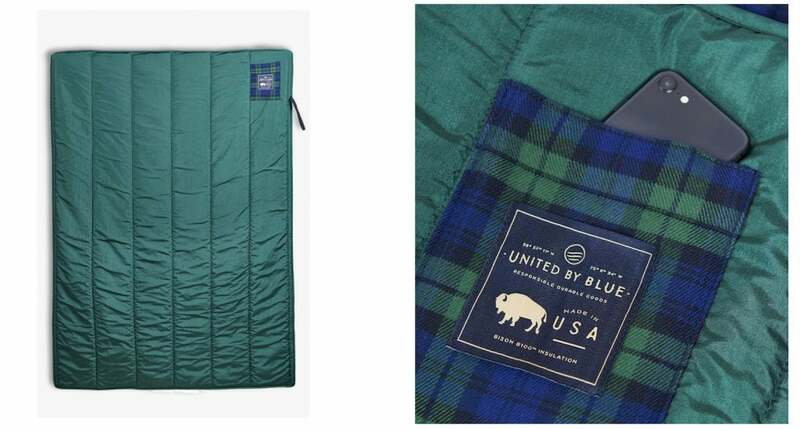 At the intersection of quality gear and great causes is the United By Blue Bison Quilted Blanket. Created with bison fiber and recycled materials, this fill-insulated blanket is the perfect medium weight solution for your RV bed. And for each blanket purchased, United By Blue is committed to removing one pound of trash from the world’s waterways and oceans. What’s not to love? RVs have many great features, but one thing they don’t tend to come with is a screened-in porch. Keep the mosquitos and flies away from the front-porch-away-from-home with a mesh gazebo from Gazelle. 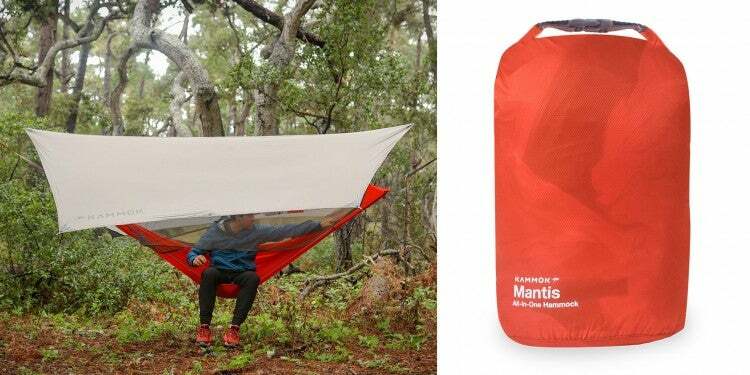 At just 23 pounds, they’re pretty easy to stow, and the smallest can comfortably keep four campers out of drizzles and swarms. 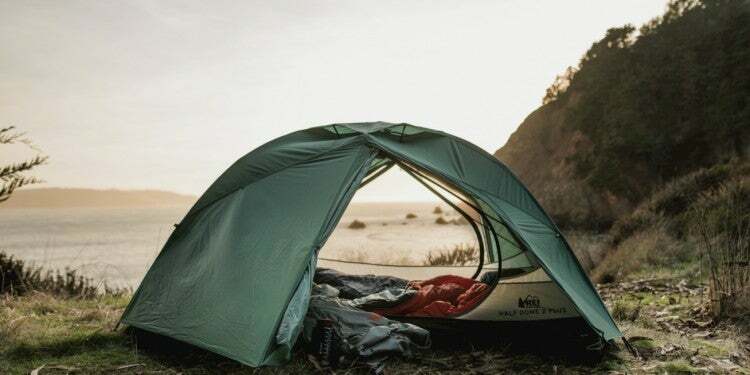 One of the best things about camping is escaping civilization. That can also mean escaping cell coverage. Walkie talkies are easy and reliable RV gifts that allow you to ditch the cellphone but stay connected to your group. These extreme range walkie talkies have a staggering 38-mile radius. They also include a convenient carrying case and headsets for hands-free driving. Whether you’re caravaning or trying to keep tabs on the kiddos at the campground, these radios are sure to please. Whether you RV occasionally or live on the road full time, it’s nice to be able to keep up with your regular routine— including fitness time. It can be extra important to stay aware of your surroundings, however, when you’re getting your steps in somewhere unfamiliar, or wilder than the track at your neighborhood high school. That’s where lightweight, packable bone conduction headphones like Aftershokz’s Trekz Air come in handy. They don’t take up much room on your rig, and let you enjoy your favorite podcasts and playlists on the go. 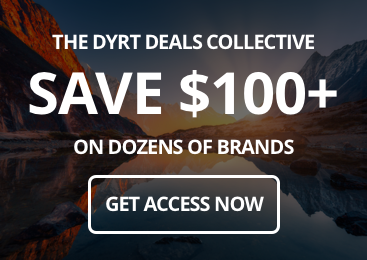 “These headphones are game changers and perform incredibly. It often sounds like your music is playing on a speaker while wearing them, and it was a shock the first time I tried them out. 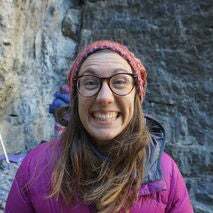 While wearing the Trekz Airs, I was able to have a conversation with my brother hiking next to me and could easily tell when another hiker wanted to pass. —The Dyrt camper Asher K.